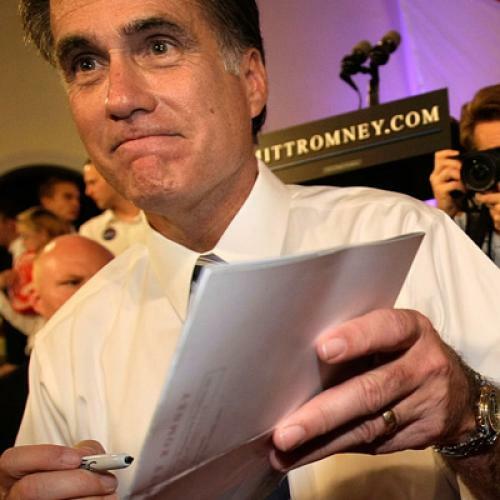 Mitt Romney: Venture Capitalist or Raider? Speaking of the free passes Romney may be getting—and, for that matter, of financial engineering—there’s another slightly-dodgy Romney formulation that hasn’t gotten much pushback so far: the distinction between “venture capital” and “private equity.” Venture capitalists typically provide money to very young firms to help them get off the ground in exchange for an ownership stake. Private equity firms typically provide money to more established firms, often those that have run into problems, also in exchange for an ownership stake. In many cases, private equity firms engage in leveraged buyouts, which means they issue a lot of debt to take control of a company that they typically reorganize and eventually sell off again. For the purposes of the political debate, the key difference is that venture capitalists provide money so firms can add jobs and invest in equipment, while private equity shops provide money to tide a firm over while bringing costs in line with revenues, often by cutting jobs. Both are legitimate activities if done responsibly. But, obviously it’s going to be a lot easier to run for office if you were in the business of adding jobs rather than cutting them. For its analysis, the Journal used a list of 77 Bain investments inked from 1984 through 1998 that were included in a document that a unit of Deutsche Bank AG circulated in 2000, while soliciting participants in a fund to invest with Bain. The document—which cites Bain as a source—appears to be the most authoritative available for Bain's activities, and says that the deals accounted for about 90% of the money Bain invested during that period. The Journal obtained updated information from a similar 2004 prospectus. The list focused on larger "private equity" investments—typically deals in which Bain took control of a business, or in some cases worked with another buyout firm to do so, aiming to improve the target business's performance. Deutsche Bank lumped into a single line all of Bain's investments of less than $2 million and those that were more of a venture-capital nature, which generally involved buying minority stakes in promising small companies such as Staples. Seventeen of the 77 private-equity targets filed bankruptcy petitions, usually Chapter 11 reorganization, or closed their doors by the end of the eighth year after Bain's investment. In their own stories, reporters tend to use the term “private equity” much more often than “venture capital.” And, of course, rivals tend to implicitly focus on the former. But I haven’t seen either group really push Romney on how he at best fudges the distinction between the terms. Listening to him, you'd think venture capital and private equity were simply two ways of describing the same line of work, when in fact they're widely regarded as distinct pursuits. Along with his humble beginnings and his fear of getting pink slipped, it’s another piece of the Romney narrative that doesn’t entirely hold up.